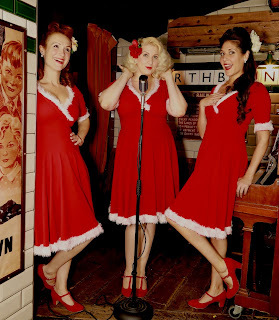 Did you know us gals have a super duper festive themed act. 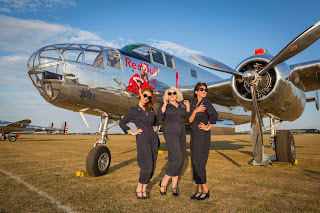 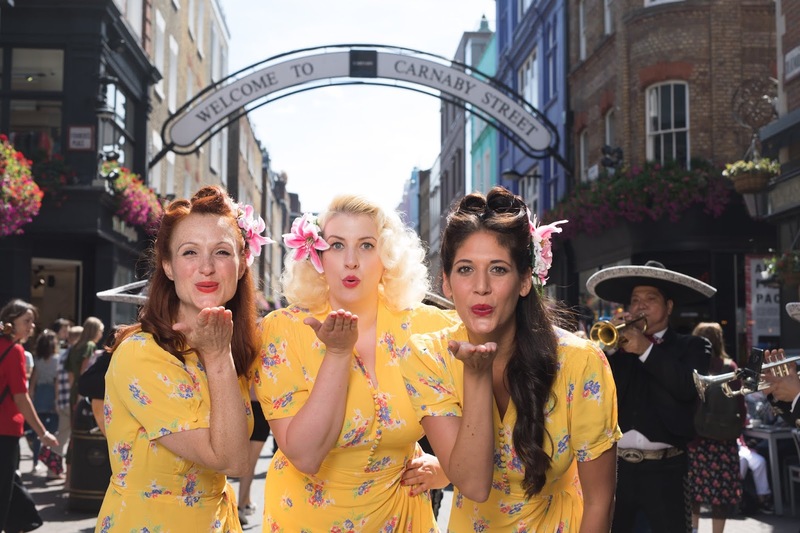 Obviously we have the full bells and whistles show you've come to expect from us but we also have a roaming A Capella act which is lots of fun too! 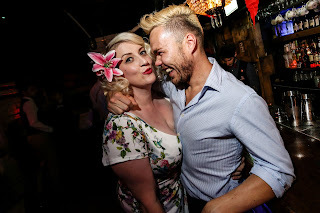 Here are some new snaps taken at our favourite cocktails bar Cahoots and a little moving picture to get you feeling festive. 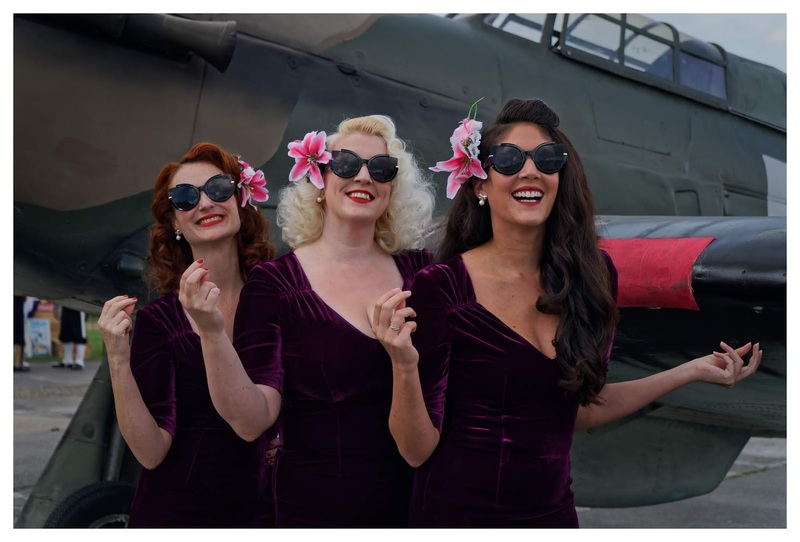 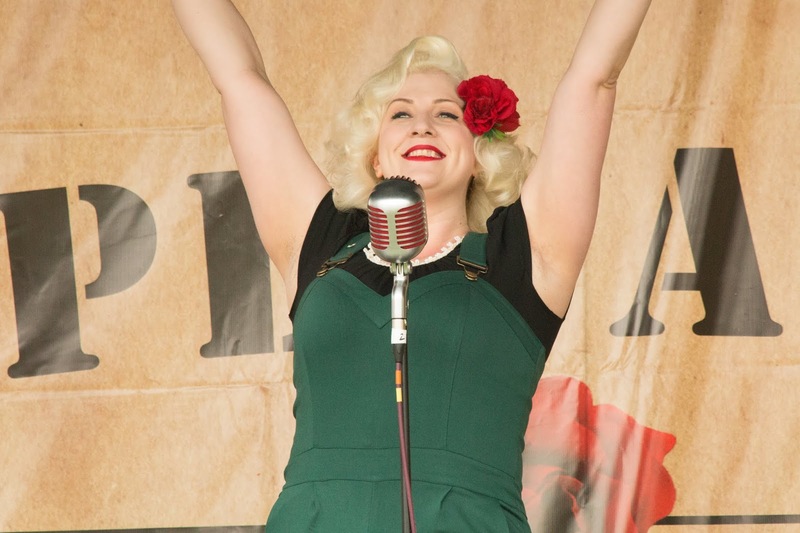 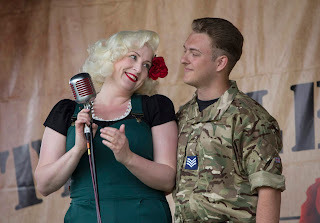 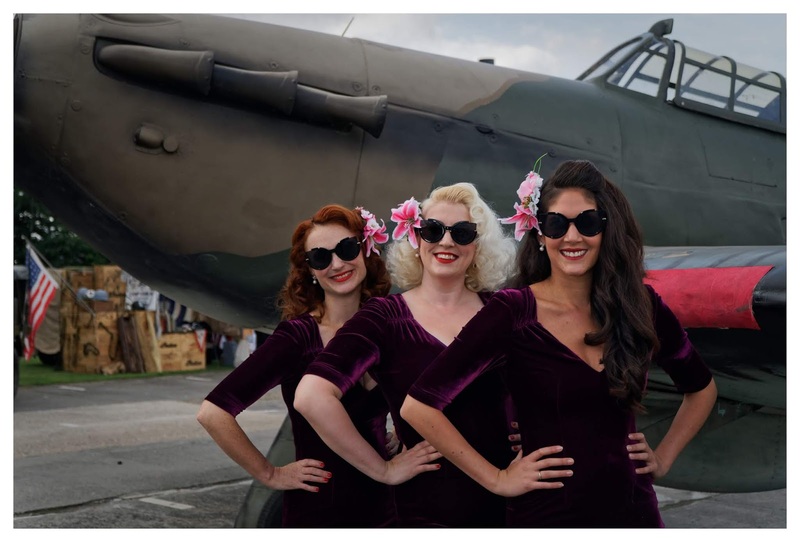 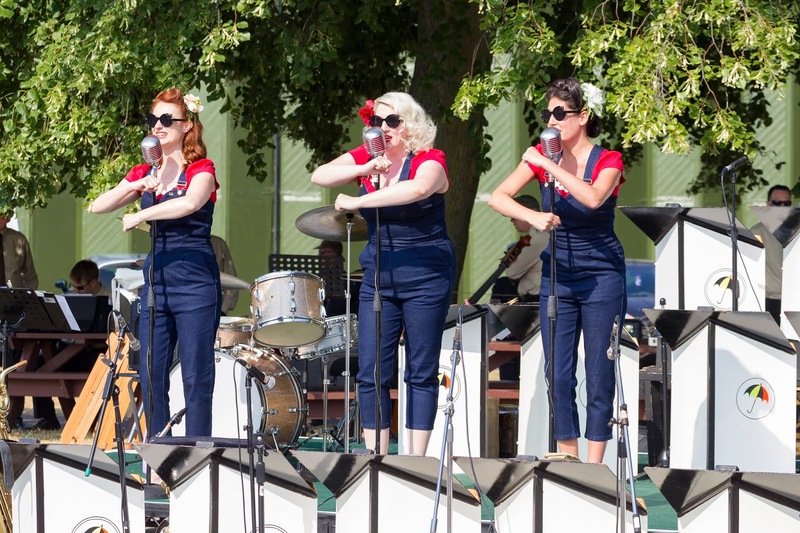 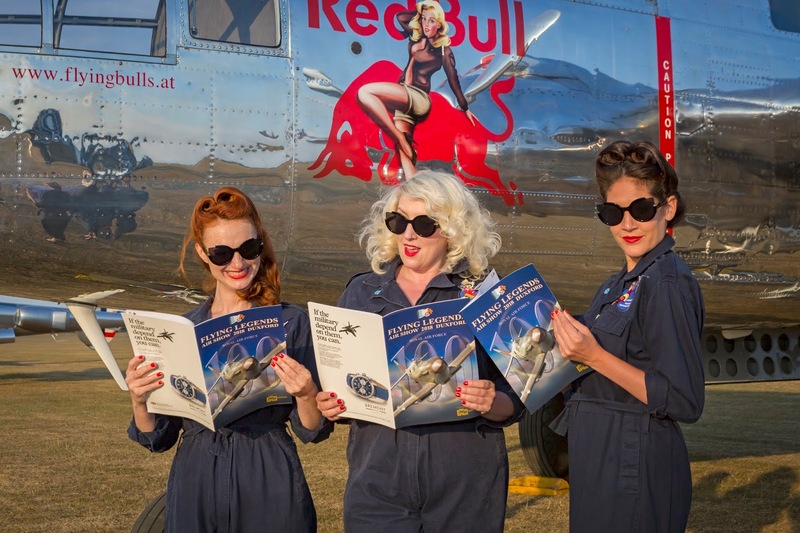 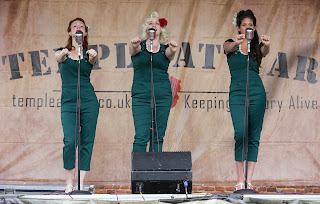 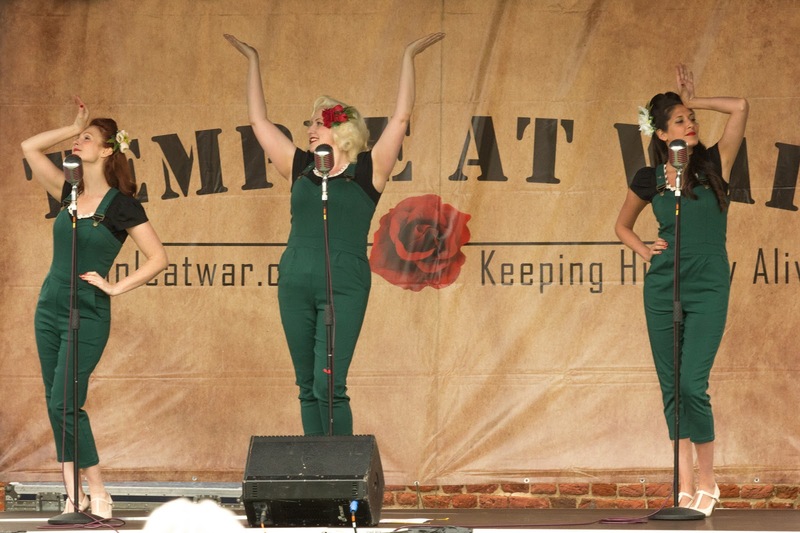 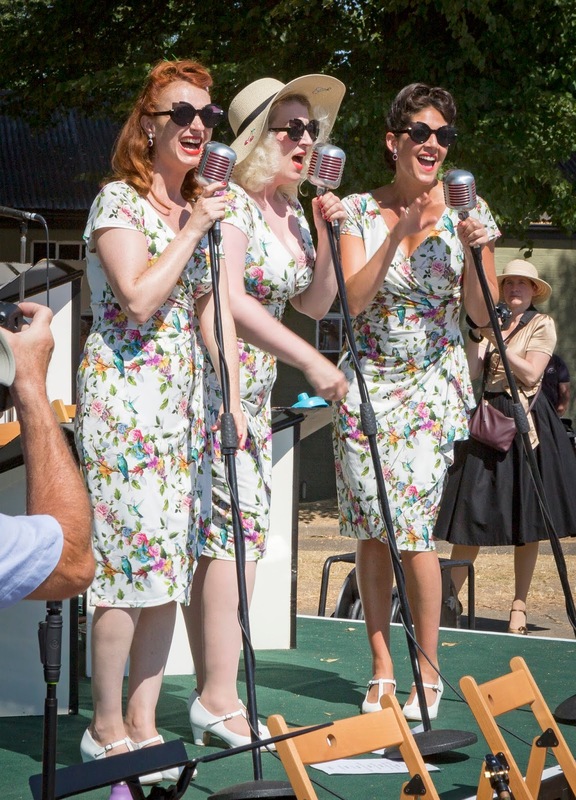 We sure did have a swimmingly good time at Chatham Historic Dockyard for their fabulous Salute to the 40s event this weekend. 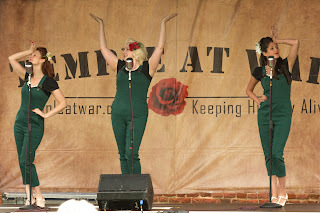 We came, we saw, we caused lots of trouble and debuted our Hotsies Go to Hollywood act. 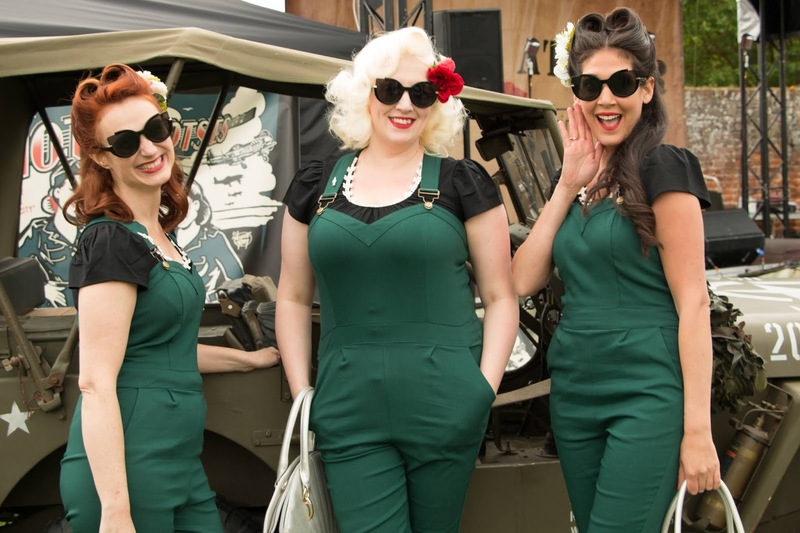 We think you'll agree we looked every inch the movie star! 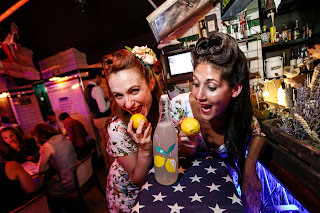 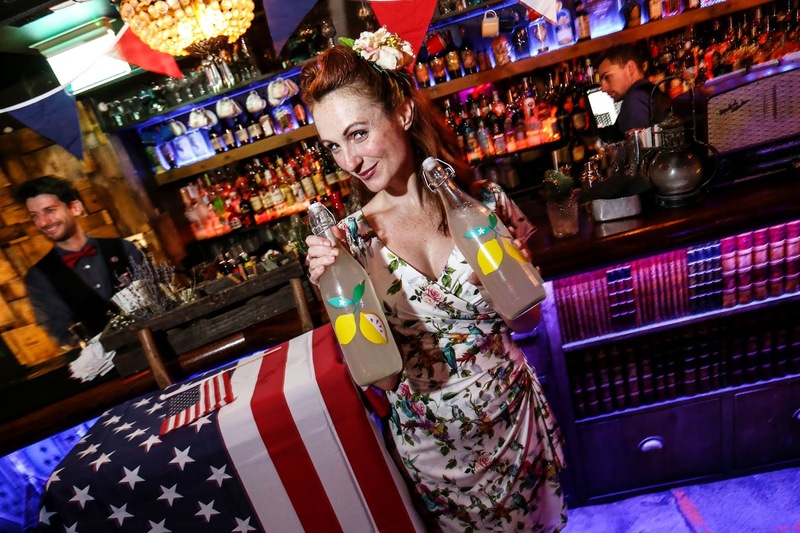 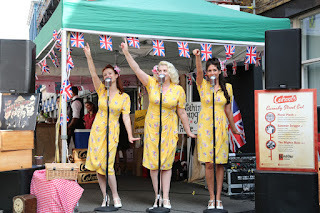 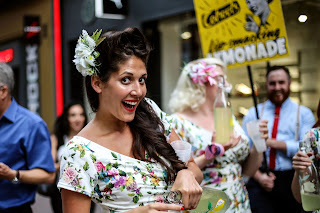 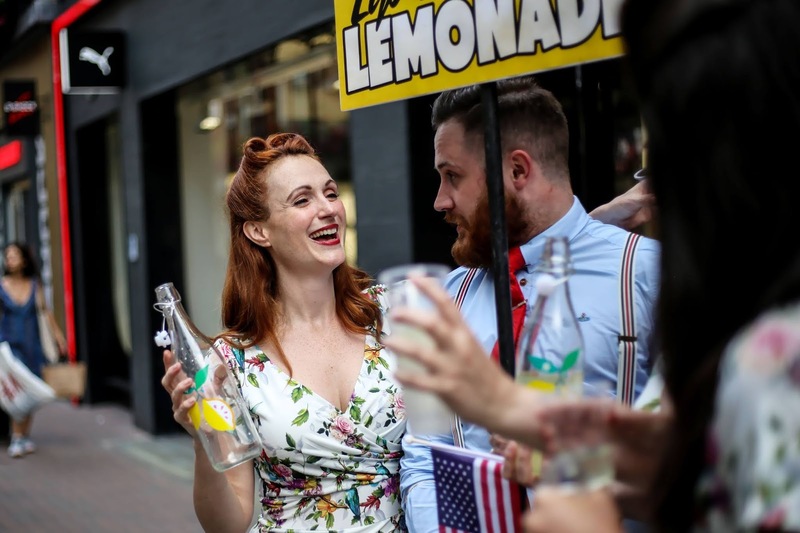 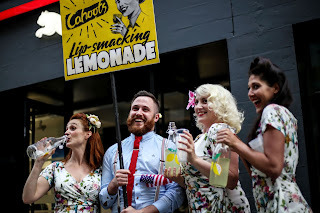 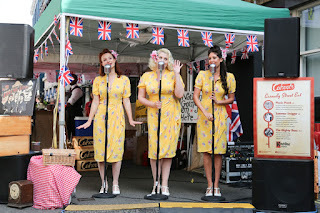 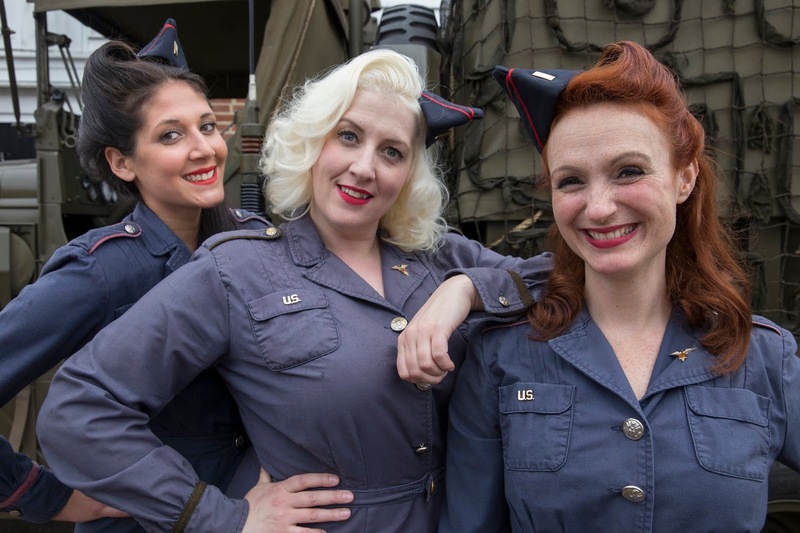 Us gals sure had a ball performing on Carnaby Street recently for their Street Eat event with our favourite cocktail bar Cahoots. We even had a fan make us a little video, thanks @citychick76 - you're a doll! We sure had a ball at Cahoots for Independence Day this 4th July. We also were giving away free hugs and lip smackingly good homemade lemonade on Carnaby Street, whilst serenading passers by. 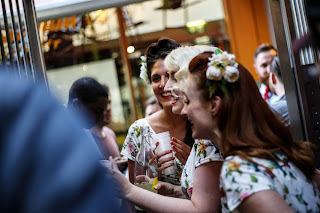 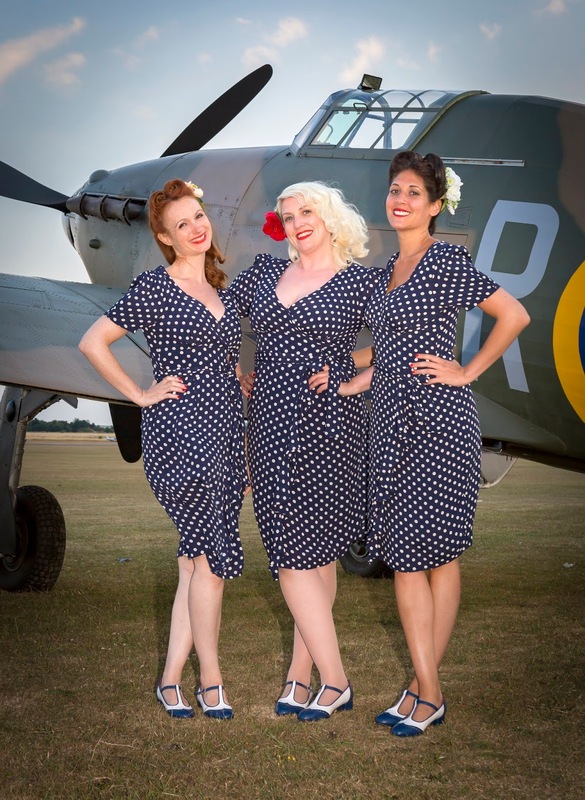 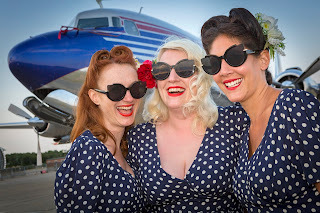 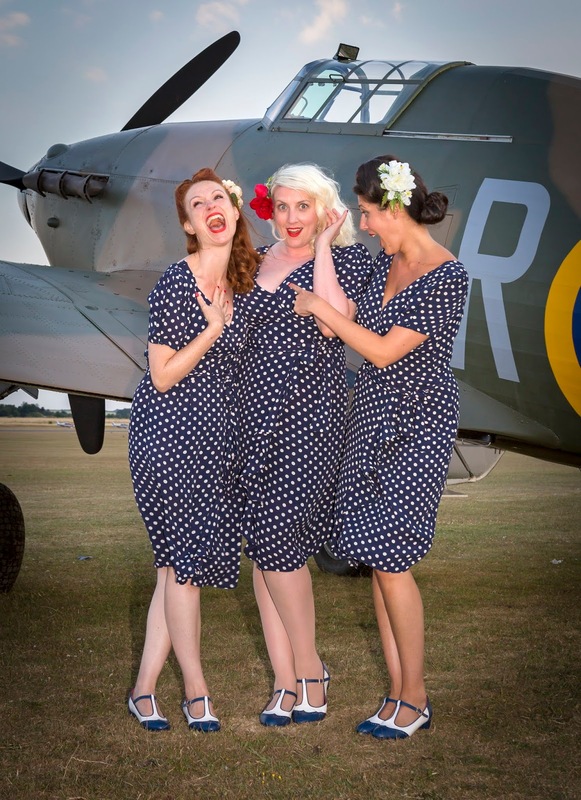 We even got to debut our gorgeous new dresses from Lady Vintage too! 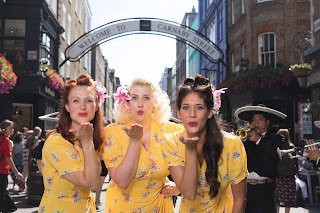 Don't forget to run along and subscribe to our YouTube channel where you can view backstage shenanigans, onstage antics and interviews. For example, here is Lois with the giggles, and when Lois gets the giggles it's game over! Boy did we have a blast (pun intended) at this year's Temple at War Show, Cressing Temple Barns. 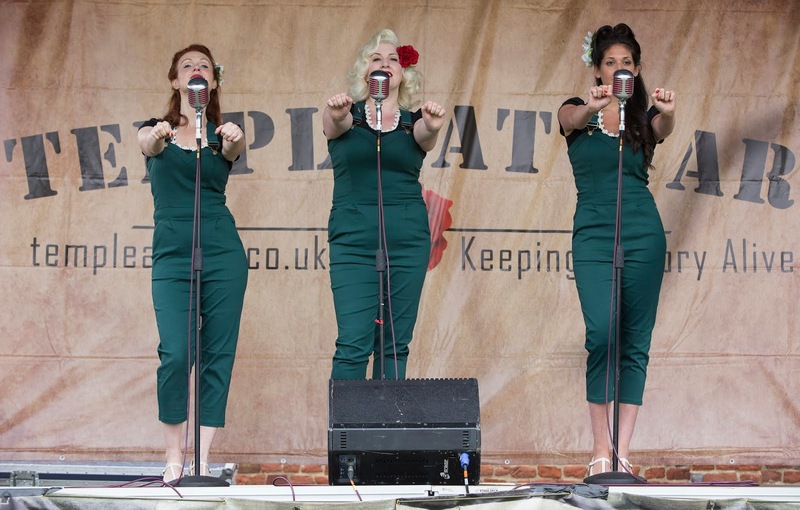 It is always rather intimidating having a sniper pointing a gun whilst on stage but Lois could definitely do with some disciplining! 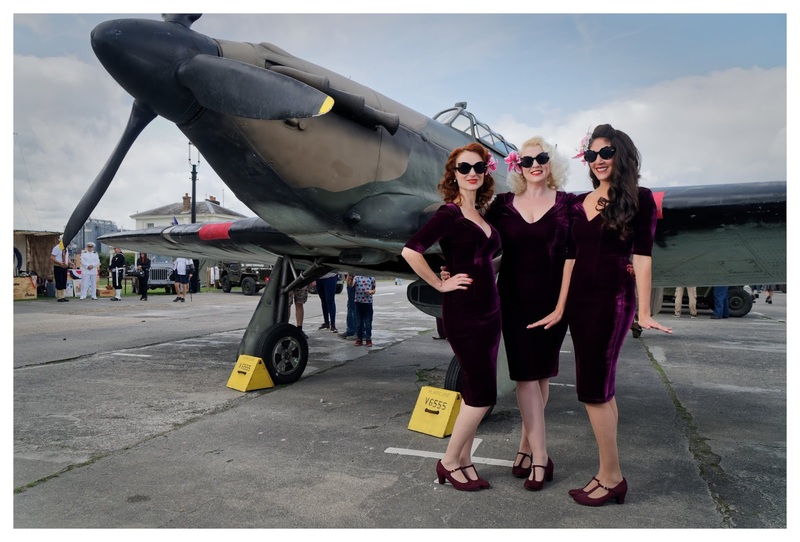 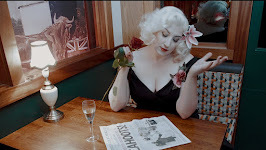 Here are some of our favourite pictures featuring our new sponsor Voodoo Vixen and of course The Seamstress of Bloomsbury.